THE STORY - NASA’s vaults open for the first time to spill this exquisite, never-before seen audio and 70 mm film footage of the Apollo 11 mission. The meandering cameras in Cape Canaveral capture a dreamy-eyed portrait of America as it stepped into the future, and from inside the Apollo 11 spacecraft, the amazingly jocular conversation of the astronauts punctuates each stage of the mission with lightness and charm. Yet the crowds watching the rocket are oblivious to the enormous pressure mission control is under to succeed. THE GOOD - Amazingly thorough never before seen restored footage on a grand scale. Tremendous sound and score. THE BAD - The lack of narrative structure or character can make the film somewhat distancing. ​​​In 1969, somebody was planning. Even as the moon landing mission was still in its preparatory stages, someone thought “we need to capture all of this on film. And we need to do so in a big screen fashion.” And so, somehow, camera crews were prescient enough to capture hours and hours of footage of mission prep, takeoff, flight, and even moon landing. Camera teams captured a variety of locations, angles, characters and shot types. Now, 50 years later, the footage has been lovingly restored and it is frankly astonishing to look at. We see faces frozen in time of people who are unsure of what the outcome of this mission will be. In command rooms, the anxiety crackles. The footage also showcases just how deeply the country connected to the mission itself, depicting thousands of viewers watching the takeoff and landing. Like Peter Jackson’s “They Shall Not Grow Old,” “Apollo 11” opts to create a purely visceral experience rather than a narrative or character driven piece. There are no interviews. There is no narration. We are literally just seeing the footage from 50 years ago restored and edited. And while that tendency to showcase the spectacle and intensity of the mission can become frustrating at times, the film realizes the distancing effect of minimizing character and clocks in at a breezy 71 minutes. It ends before it can feel dull. 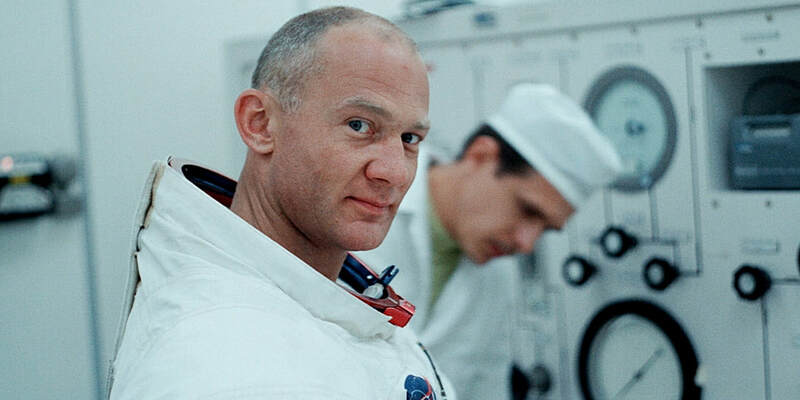 One notable standout from the footage, however, is bits and pieces of Neil Armstrong and Buzz Aldrin’s personalities do shine through their dialogue on screen. The Armstrong here reads as much more of a talkative and excited scientist than the stoic portrayed by Ryan Gosling in “First Man.” It’s fascinating to see such different portrayals of Armstrong this close to each other. Aside from the masterful footage restoration, the other technical aspects shine as well. The editing is an impressive feat in itself: whittling hours of footage down to a feature-length product. The sound restoration and recreation also impress, especially a moment of silence followed by the roar of engines during the takeoff scene. And of course, the score by Matt Morton is haunting, epic and hummable. In short, “Apollo 11” works more as an experience and a fascinating glimpse into history than as a narrative film, but it is absolutely a trip worth taking. It reminds us of the Audacity of the mission and puts the viewer in the moment. What it lacks in emotion it more than compensates for with sheer power.